Our print and digital solutions puts your marketing message in front of the largest local audience of Anniston and Gadsden consumers. Anniston is the largest city in Calhoun County, (population of 90,089),1 and is located 59 miles east of Birmingham and 90 miles west of Atlanta. Government entities strongly support the employment sector in the county, contributing to a stable economic base. Federal government employment and related contracts are expected to drive continued economic development in the future.  Gadsden is located north of Anniston in the adjacent county of Etowah, which has a population of 103,150. 2 Like Calhoun County, Etowah is located within an hour drive of Birmingham and a two-hour drive from Atlanta. Manufacturing drives the economic base with 50 first-tier automotive parts suppliers within an hour’s drive and 9 vehicle assembly plants within a three-hour drive of Gadsden. Alabama Media Group can supplement the strength of AL.com in Anniston and Gadsden by creating a custom digital solution to meet a client’s regional and behavioral targeting needs. Find out more about Anniston/Gadsden audience solutions and advertising opportunities.